The THIRD EDITION of Max Anderson's book Digger is now available, with a new intro and 16 pages of photos. 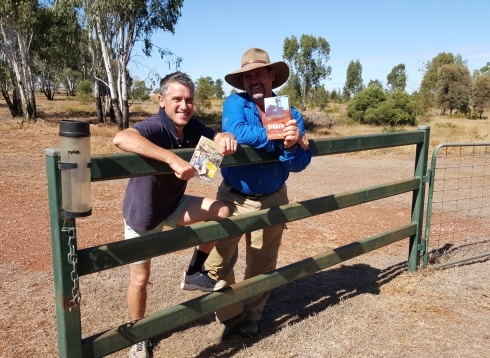 In June 2015, The Outback Prospector met Max Anderson, award-winning travel writer, author of this ripping yarn 'Digger' and general all-round likable bloke. On a fact-finding mission for Nat Geo mag, Max enjoyed picking JP's brain about the GPZ7000, sharing tall tales of old Kookynie days & soaking up the local hospitality. "A classic adventure travel story with a final, almost incredible twist… Anderson is an excellent writer." "Old-time prospectors know how to deal with this squeaky clean novice. But Anderson wins them over, as he wins over his readers, with his thoroughness, lack of pretension and an irrepressible enthusiasm." "This funny, contemplative book gripped me from start to finish."